Sponsored by the European Commission FP7 Marie Curie International Incoming Fellow programme, this project is to develop a novel condition based maintenance (CBM) system for agitators. Agitators are widely used to mix contents inside vessels. They have been widely applied in the manufacturing sector, including chemical and petrochemical, pharmaceutical, polymer, biotechnology and food and grain processing industries. 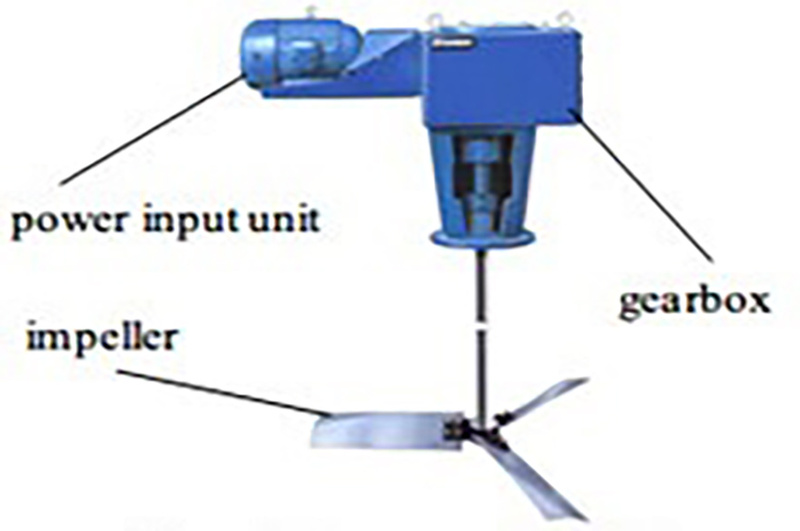 A typical agitator consists of a power input unit, a gearbox and an impeller, as shown in Figure 2. The gearbox is externally attached to the vessel, as shown in Figure 3, and drives the impeller which works inside the vessel to mix the contents. Access to the agitator, to support maintenance and repair, is often limited. The pressure inside the vessel is usually more than 10 bars, and the contents, such as chemicals in the pharmaceutical process, may have contamination problems, which makes it impossible to access the agitation system to accurately inspect its working condition while it is in operation. The failure of the agitator causes the failure of the processing system or holds up the production process, which has significant cost implications, and, in certain circumstances could cost millions of pounds. Currently, inspection and maintenance are carried out using fixed schedules, with the agitation system’s interruptions in service lasting a week at a time. This situation is costly because machines are either over maintained regardless of the actual conditions or machines might fail between scheduled maintenance operations. Condition based maintenance, i.e. the maintenance of equipment when needed based on the machine’s condition, has been difficult to use because of limited research in relation to agitators. To overcome the above problem, this project aims to develop a novel condition based maintenance (CBM) system for agitators. With the CBM system, the maintenance decision is made based on the results of online continue monitoring the agitator’s working condition. The maintenance is carried-out only when a problem is detected, rather than fixed schedules. This will not only considerably reduce maintenance costs, but also greatly enhance the safety of the processing system. Because of the agitators’ wide industrial applications, the successful adoption of the CBM system developed by this research will have a considerable impact in a variety of ways, including improving health and safety, enhancing production capability, creating job opportunities, and a high economic impact across the manufacturing sector. This project is led by Professor Daizhong Su who is a Professor of Design Engineering and Head of the Advanced Design and Manufacturing Engineering Centre. As a principal investigator or co-investigator, Professor Su successfully conducted/conducts a number of collaborative research projects supported by the European Commission, research councils, governmental departments, regional development agencies, industries, and other external funding bodies. 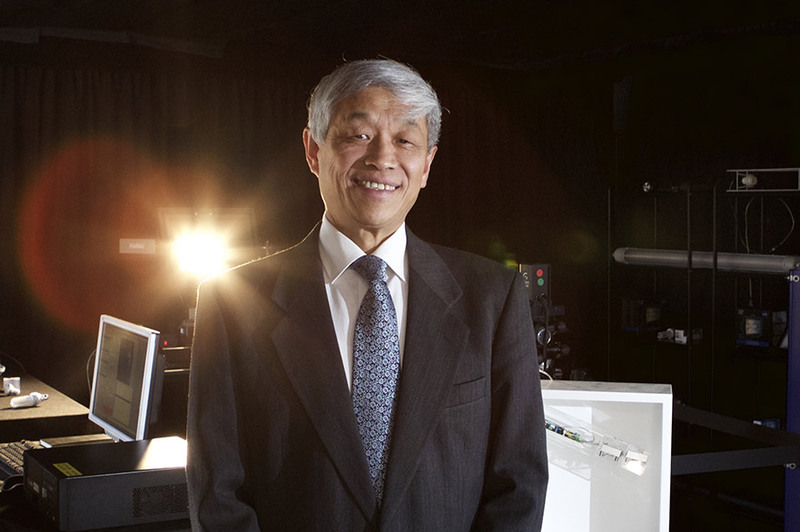 The Marie Curie International Incoming Fellow: Professor Yimin Shao, an internationally recognised expert in the subject area from the State Laboratory of Mechanical Transmission, Chongqing University, China. Industrial partner of the project: Chemineer Ltd, a leading manufacturer and installer of agitators for a wide range of industrial applications. 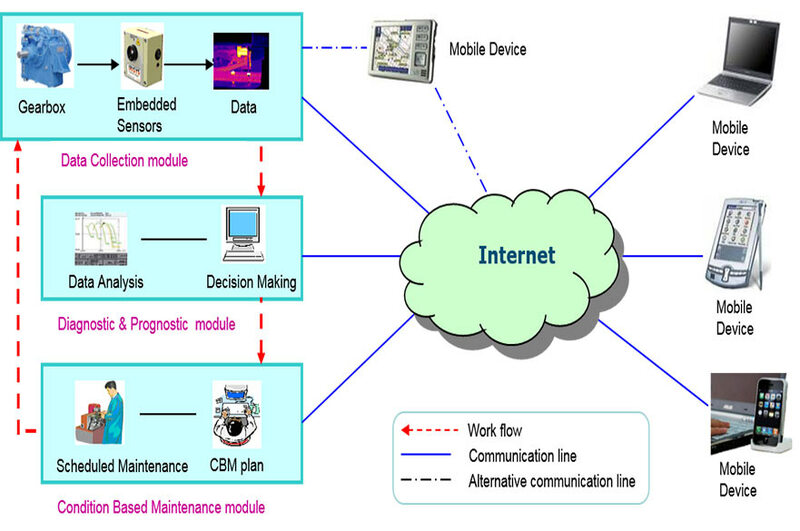 Supported by the EU FP7 Marie Curie programme, the CBM system has been developed, which is illustrated in Figure 1. It includes three modules: data collection, diagnosis and prognosis, and condition based maintenance. Within the data collection module, the embedded sensors collect the signals from the agitator and transmit the data, in a digitised form, over the Internet to a centralised diagnostic and prognostic module, for data analysis. Based on the experience developed, prognostic and diagnostic decisions are made and sent directly to the CBM control. The required maintenance is then scheduled for a suitable time, and replacement of parts or maintenance can then be completed accordingly. Yimin Shao, Daizhong Su and Amin Al-Habaibeh, A New Fault Diagnosis Algorithm for Helical Gears Rotating at Low Speed using an Optical encoder, Part I: Journal of Systems and Control Engineering (submitted in November, 2011). Zaigang Chen, Yimin Shao and Daizhong Su, ‘Dynamic simulation of planetary gear set with flexible spur ring gear’, Journal of Sound and Vibration, Vol 332, Issue 26, December 2013, pp 7191–7204. Wenbing Tu and Yimin Shao, An acoustic-structural model for pedestal-radiated noise during ball bearing angular acceleration, Int. J. Design Engineering, Vol. 4, No. 4, 2011, p.p.291-309.